A young Iranian man who was arrested, convicted and sentenced to die as a 15-year-old, was put to death by the Iranian regime this week in a new low in human rights even for this brutal regime. Alireza Tajiki was 21 years old at the time of his execution. He was arrested in May 2012 when aged 15 and sentenced to death nearly a year later in April 2013. The trial was grossly unfair and relied primarily on “confessions” which Alireza Tajiki had said were extracted through torture, including severe beatings, floggings and suspension by the arms and feet, according to Amnesty International. The use of torture to coerce confessions is notoriously widespread throughout Iran and is indiscriminately applied against men, women and children and has been documented by news media and international human rights groups. “By going ahead with this execution in defiance of their obligations under international law, and despite huge public and international opposition, the Iranian authorities have again cruelly demonstrated their complete disdain for children’s rights. This shameful act marks a critical turning point for Iran, and exposes the hollowness of the authorities’ claims to have a genuine juvenile justice system,” said Magdalena Mughrabi, Amnesty International’s Deputy Director for the Middle East and North Africa. “This execution is a flagrant violation of Iran’s obligations under the UN Convention on the Rights of the Child, which it ratified two decades ago. By putting Alireza Tajiki to death, the Iranian authorities have demonstrated their appalling commitment for continuing with this abhorrent practice and shown they do not even have the will to implement their half-hearted reforms to save the lives of those convicted as children,” he added. The liberal use of the death penalty has been a hallmark of the Iranian regime’s control over the Iranian people, but alongside the gruesome punishments, the mullahs enforce morality laws in such odd fashion that seemingly innocuous acts are often characterized as crimes, such as women riding bicycles. The fact that women receive the brunt of these morals violations is no coincidence as the mullahs work aggressively to oppress Iranian women and deny them educational opportunities, careers and even basic freedoms to move about without restriction. One example of this the recent crackdown against women participating in Zumba dance classes and exercises in one of the more ludicrous actions by the regime. 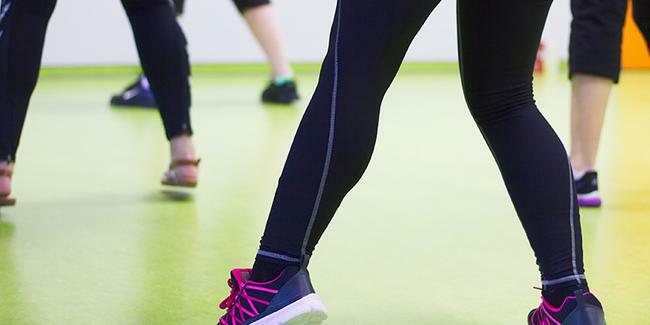 A group of four men and two women were charged for trying to “change lifestyles” over their Zumba dancing and for not adhering to the country’s strict hijab dress code this week. “The members of a network teaching and filming Western dances have been identified and arrested,” said Hamid Damghani, an official with the Revolutionary Guard Corps. “They were arrested by the Guards’ intelligence forces while teaching and creating video clips… as they sought to change lifestyles and promote a lack of hijab,” Damghani said. The fight by the regime to suppress all kinds of creativity by young Iranians has been long-running. The latest Zumba arrests are a reminder that in 2014, seven young Iranians were arrested for dancing to Pharrell Williams’s hit “Happy” in a home-made video that went viral on the internet. They were given suspended jail and lashing sentences. Far from being random or non-sensical, the arrests are deadly serious business for the mullahs because they represent a threat to the strict ideology and religious culture imposed by them since the Islamic revolution. Creativity, artistry, even a simple exercise dance class can lay the seeds for rebellion in a society governed by the whims of religious zealots. For the mullahs in Tehran, even free thought can pose a counter-revolutionary risk. This explains why the regime also spends considerable time, energy and resources in trying to stifle, suppress and even kill any members of Iranian opposition or dissident groups. The long history of the regime’s efforts to annihilate the People’s Mojahedin Organization of Iran, a long-time opposition group have been well-documented by international monitoring and human rights groups, especially the covert attacks on a refugee camp in Iraq housing members of the PMOI resulting in the murder of scores on refugees. What is most disturbing though is as the Iranian regime steps up its brutal suppression of human rights with more executions and campaign to arrest women for taking part in innocent activities, the Iran lobby has been stone-deaf silent; none more so than the National Iranian American Council. The NIAC in particular has thrown itself into the fight to save the Iran nuclear deal and virtually ignored the mounting human rights abuses in Iran. It points out the lie in the NIAC which claims to fight for Iranian-American issues and dignity, but does neither. Its sole agenda is to fight to preserve the lifting of economic sanctions that keep the flow of cash running to the mullahs’ pockets. Unfortunately, young Iranians like Alireza Tajiki are the ones left to pay the ultimate price. One of the hallmarks of the Iranian regime is to do whatever it takes to mollify the anger of the Iranian people and then go ahead and do what is in the best interests of the mullahs and the Revolutionary Guard Corps that backs their rule. A large dose of that is promising everything under the sun during an election and then promptly ignore every one of those promises. The repercussions of those lies largely goes unnoticed because the regime uses harsh methods to punish dissent and keep protests at a minimum. During the most recent presidential election, Hassan Rouhani, aided by the Iran lobby abroad, touted promises to advance the cause of Iranian women by addressing extreme gender imbalances that exist between men and women in Iranian society. The idea was to continue promoting the idea that Rouhani was some enlightened moderate fighting hardline forces and promising a more open and inclusive society. Why anyone would believe him after the past four years of brutal crackdowns on almost every sector of Iranian society is beyond normal thinking. But when faced with unremitting cruelty, in an environment of rampant corruption, under constant threat of death and imprisonment, hope is a challenging thing to keep alive and shows why many Iranians might be willing to even believe in lies because the alternative can be soul-crushing. So, after Rouhani was sworn in for his second term, he released a list of cabinet appointments and unsurprisingly, not a single woman was named to a senior position. Rouhani nominated men to fill 17 of 18 ministerial slots in his new government, according to the semi-official Tasnim news agency, with no one yet put forward for science minister. He appointed three women among a dozen vice presidents in his previous administration. Most Western media attempted to frame the omission as an effort by Rouhani to appease hardliners within the government who oppose his “reformist” efforts, including the nuclear agreement and opening dialogue with the West. Pardon us while we cough. The truth of the matter is simple: This is who Rouhani is; a loyal, dedicated and faithful member of the regime going back to his earliest days. Rouhani never had any intention of advancing a moderate agenda. He always has been a product of the regime and was constructed with a mythology that served the interests of the regime. The mullahs needed the nuclear deal to lift crippling economic sanctions to help fund their wars and keep the IRGC afloat. Rouhani did not disappoint while he also actually stepped up the repression of the Iranian people; nearly tripling the rate of public executions from the much-reviled Mahmoud Ahmadinejad’s tenure; no small feat. Not all Iranians were fooled as many took to social media to express their frustration at the lack of advancement for women on this significant social issue. In many ways, with the nuclear deal behind him and the prospect of a Trump administration seeing through the false moderate façade and taking direct action against the regime, Rouhani and his fellow mullahs have figured out there may no longer be any need to continue with the fantasy of playing at moderation. 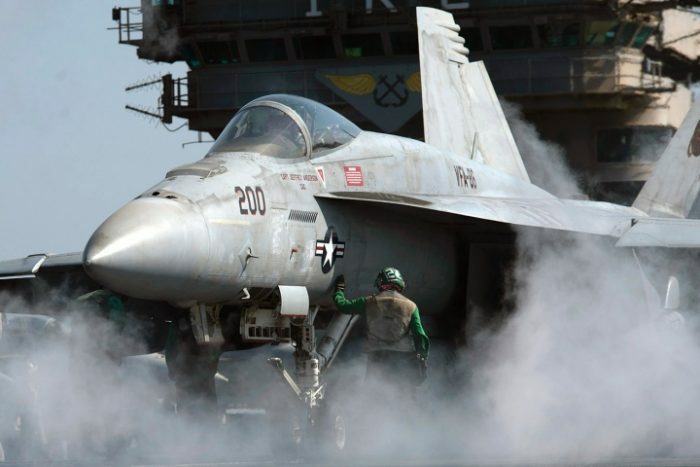 This may explain the rapid escalation in tensions between the Iranian regime and U.S. Navy as an Iranian drone buzzed a F/A-18E Super Hornet fighter as it prepared to land on the USS Nimitz in the Persian Gulf. “Despite repeated radio calls to stay clear of active fixed-wing flight operations within the vicinity of USS Nimitz, the QOM-1 executed unsafe and unprofessional altitude changes in the close vicinity of an F/A-18E in a holding pattern preparing to land on the aircraft carrier,” said Commander Bill Urban, a spokesman for U.S. Naval Forces Central Command. The Navy F/A-18E had to execute a quick maneuver to avoid contact with the drone, which at one point was roughly 200 feet away horizontally and about 100 feet vertically, according to the Washington Examiner. According to the U.S. Navy, this is the thirteenth time this year there has been an unsafe or unprofessional interaction between U.S. and Iranian maritime forces. This hasn’t been the only confrontation with an Iranian drone. Last June, U.S. forces shot down two Iranian-made drones that approached U.S.-backed troops in Syria. It is important to note that all of these actions, plus the abduction of additional American hostages occurred well before President Trump ever took office, bringing out the untruth of the Iran lobby who claim his policies in confronting the regime are responsible for the escalation in tensions. Most worrisome are reports that North Korea is deepening its ties to the Iranian regime with Kim Yong Nam, head of the rogue regime’s parliament attending Rouhani’s swearing in ceremony. Kim’s trip though is expected to stretch to 10 days in Tehran, permitting a more detailed series of meetings about the military alliance the two nations share, as well as Western intelligence reports that say North Korea has constructed a nuclear warhead small enough to fit on one of its ballistic missiles. It is reasonable to think since North Korea licensed its missile technology to Iran that it is also willing to share its nuclear technology in exchange for much-needed cash which Iran has thanks to the nuclear agreement. Why Does the Iran Lobby Care About the Nuke Deal? The Iran lobby, including the National Iranian American Council and other groups, invested heavily in supporting the Iran nuclear deal. They lobbied for it, wrote editorials, sent out loads of press releases, made appearances on news programs, held meetings with elected officials and coordinated strategy with the Obama White House through countless meetings. Propel Iran’s re-entry in the community of nations and become a partner economically and politically with the world once again. It was a nice idea and attractive to many in Congress. Unfortunately, like most good intentions, it fell flat on its face when confronted by the evil nature inherent within the ruling mullahs in Tehran. The one thing everyone seemed to forget and the Iran lobby was careful to obscure was that the Iranian regime never really cared about a nuclear deal since the mullahs knew it would never halt their nuclear program, only postpone it slightly. What they and their Iran lobbyist allies really cared about was the lifting of crippling sanctions that, more than anything else, was and still is the true goal of the regime and its allies. Preserving the nuclear deal is not the real concern of the regime. It is the potential for the re-imposition of economic sanctions under a skeptical Trump administration and a reset back to 2012 in which the Iranian regime was on the verge of collapse and widespread dissatisfaction among the Iranian people still simmered from the violent crackdown on the 2009 democracy protests. This is why the deal was crafted to preserve Iranian regime’s missile program and never take up the issues of human rights and terrorism since the mullahs had always planned to use the cash it received from the nuclear deal to jumpstart their ballistic missile program and keep the Assad regime afloat in Syria. In this, the Iran lobby sought to dissuade action against Iran by promising a changed regime, but since none of that has happened and the situation throughout the Middle East has clearly gotten worse under the expansion of several proxy wars by Iran, the Iran lobby has shifted its tone and tactics to a much darker and fear-based message. It now relies on the banging of war fears in trying to keep the nuclear deal alive as evidenced by the mounting PR push by groups such as the NIAC which put out a policy memo outlining how the Trump administration could undermine the nuclear agreement. It is typically long-winded and rests its logic on the notion that President Trump can kill the Joint Comprehensive Plan of Action (JCPOA) agreement by choosing not to certify the JCPOA or implementing “snap back” sanctions. 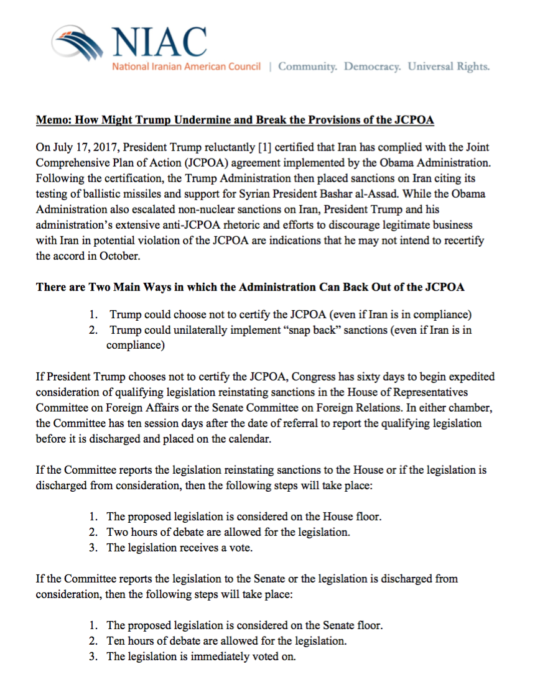 The NIAC memo then goes on to exhaustively explain the various steps the Congress would take in reviewing either action by the president. What the NIAC does not discuss is the fact the Congress voted to pass new sanctions on Iran by stunningly huge bipartisan majorities that made clear no one actually believes in any of the promises made by the NIAC earlier. Iranian regime has clearly become a threat not only to the U.S., but to the entire region as its ballistic missiles can now reach targets throughout Europe, Asia and Africa. The NIAC briefing also glaringly misses the essential point of what is happening now which is the Iranian regime’s actions on human rights violations, sponsorship of terror and accelerating a missile program that will soon surpass North Korea is what is driving the debate about Iran; not the nuclear agreement. But the NIAC hopes that focus on the JCPOA will deflect attention on these other areas where Iranian regime is so blatantly awful on right now. It is akin to pointing at the crack den and ignoring the building on fire right next to it. You can see how the Iran lobby is trying to push issues such as terrorism and missiles off the front pages by talking about the nuclear deal, when the nuclear deal isn’t even the issue being debated by Congress and the Trump administration. This is the “new” grand lie of the Iran lobby and its supporters. They hope that by focusing on the JCPOA and Iranian regime’s continued “compliance” with the agreement that mullahs’ regime in Iran is somehow still a good global citizen. The lobby never addresses the ballistic missile program or the threat it poses, especially with heightened concerns over North Korea. It also never deals with the horrific human rights violations Iranian regime and its IRGC has perpetuated in the Syrian conflict. Unfortunately for the NIAC and other Iran lobby members, everyone has pretty much caught on to the lie and ignoring what they say which explains the overwhelming bipartisan push to target Iran. For the NIAC, it quickly finds itself alone in Washington’s Beltway with few open supporters and even less leverage in trying to boost Iranian regime’s fortunes. It’s time for the NIAC to pack it in. Iran’s recent launch of a rocket carrying a satellite into space served more as a test for the regime’s accelerating ballistic missile program in terms of lofting heavier payloads over greater distances. In many ways, the Iranian regime’s missile program has mirrored the development of the North Korean program which now threatens the continental U.S. with its own launch of a ballistic missile last Friday. Intelligence agencies have long believed that Iran’s missile program was kickstarted by a technology licensing agreement between the two rogue regimes, but Iran’s larger industrial capacity and ample financial resources due to illicit sales of its embargoed oil supplies over the years have enabled Iran to leapfrog the pace of development by North Korea. It also explains why the mullahs were so intent on ensuring that the nuclear deal had no explicit restrictions on their missile program; an omission by the Obama administration in the false hope of fanning the flames of moderation. All of which means a mess has been left to the Trump administration to sift through and it has done so with an admirable degree of incremental steps designed to slowly isolate the regime and target the most problematic parts of the regime’s terror industry. For every provocation by the Iranian regime, the Trump administration has responded in direct proportion to send an unmistakable message to the Tehran. A joint statement on Friday from the United States, France, Germany and Britain said Iran’s launch was inconsistent with a U.N. Security Council resolution calling on Iran not to conduct such tests. The U.S. Treasury’s Office of Foreign Assets Control imposed new sanctions on six Iranian firms owned or controlled by the Shahid Hemmat Industrial Group. The move enables the U.S. government to block any company property under its jurisdiction and prevents U.S. citizens from doing business with the firms, according to Reuters. “These sanctions … underscore the United States’ deep concerns with Iran’s continued development and testing of ballistic missiles and other provocative behavior,” Treasury Secretary Steve Mnuchin said in a statement. “The U.S. government will continue to aggressively counter Iran’s ballistic missile-related activity, whether it be a provocative space launch … or likely support to Yemeni Houthi missile attacks on Saudi Arabia such as occurred this past weekend,” Mnuchin said. The six Shahid Hemmat units targeted by the U.S. sanctions manufacture missile components, missile airframes, liquid-propellant ballistic missile engines, liquid propellant, guidance and control systems. They also do missile-related research and maintenance. The move comes on the heels of the Congress passing by overwhelming majorities legislation to impose new sanctions on Iran, North Korea and Russia, as well as sanctions imposed last July 18 directed at 18 people and entities for supporting Iran’s missile program or—more importantly—the Revolutionary Guard Corps which directly supports terrorism. The moves from the Trump administration are slowly rolling back all the moves made by the Obama administration, but smartly are being done in a manner not to give the Iranian regime an excuse to claim the U.S. is violating the nuclear deal. That of course has not stopped Iran lobby members such as Trita Parsi of the National Iranian American Council from claiming that the U.S. was indeed trying to wreck the deal. Parsi took to Lobelog, another well-worn Iran lobby booster blog, to bray away that President Trump was actively seeking a war with Iran in another pathetic attempt at trying to drum up war fears. “The American public knows the Iraq playbook quite well. Trump’s own supporters remain enraged by the disastrous war with Iraq. They know how they got played. It’s difficult to imagine why they would allow themselves to get played again by a president who has left little doubt about his intent to deceive,” Parsi said. Parsi tries to press home the point that President Trump is some crazed warmonger, but even he admits that his presidential campaign was propelled in part by America’s dissatisfaction with the war in Iraq and the pretext for it. Parsi cannot have both sides of the argument. He either must believe the president is actively seeking a war with Iran and is thumbing his nose at the very voters who put him in office, or Parsi must acknowledge the truth; which is that President Trump isn’t seeking a war, but is repairing the damage done by the Obama administration in enabling the mullahs in Tehran to act with impunity. The president certainly doesn’t want a war, but he must correct the course set by the previous administration by attempting to restrain the Iranian regime, begin the laborious process of rebuilding the international coalition against the regime, cut off the flow of money funding its missile program and either hold the regime strictly accountable to the nuclear deal or force a better deal to be crafted. In essence, President Trump is trying to get a do-over from the fumble made by the Obama administration and reset the terms of engaging with Iran to place issues such as ballistic missiles, human rights and terrorism back at the top of the agenda where they belonged in the first place. It is an argument that has been made for years now by the Iranian opposition movement which warned that Iran would take advantage of the nuclear deal to rebuild its armed forces and fund its proxy war efforts rather than invest it back into the economy for the benefit of the Iranian people. In hindsight, opposition leaders such as Mrs. Maryam Rajavi of the National Council of Resistance of Iran look almost prescient now in light of how the regime has acted in the two years since the deal was crafted. For the regime, it must seem like they are trying to hold off the inevitable with the ever-rising tide of sanctions now being imposed almost daily. This ultimately gives the Trump administration significant leverage to force back an expansionist Iran; leverage that the Obama administration never sought to use much to the dismay of the peoples of Syria, Yemen, Iraq and Afghanistan. Unsurprisingly, the U.S. State Department once again listed the Iranian regime in its annual Country Reports on Terrorism; keeping it atop a dubious list of countries involved in the sponsorship and support of terrorism. The report based the designation on the regime’s continued support for terrorist proxies such as Hezbollah and its overall efforts to destabilize the Middle East as a whole as evidenced by its spurring of the Houthi rebellion in Yemen and its long support for the Assad regime in Syria, as well as the rapid growth of Shiite militias in Iraq involved in new rounds of sectarian warfare with Sunni tribes. Iranian regime has been designated as a state sponsor of terrorism by the U.S. since 1984, making it one of the longest-running state sponsors of terror in the world. Iranian regime sits alone only next to Sudan and Syria as officially designated state sponsors in the annual report. “Iran used the Islamic Revolutionary Guard Corps‑Quds Force (IRGC-QF) to implement foreign policy goals, provide cover for intelligence operations, and create instability in the Middle East. Iran has acknowledged the involvement of the IRGC-QF in the conflicts in Iraq and Syria and the IRGC-QF is Iran’s primary mechanism for cultivating and supporting terrorists abroad,” the report said. “In 2016, Iran supported various Iraqi Shia terrorist groups, including Kata’ib Hezbollah, as part of an effort to fight ISIS in Iraq and bolster the Assad regime in Syria. 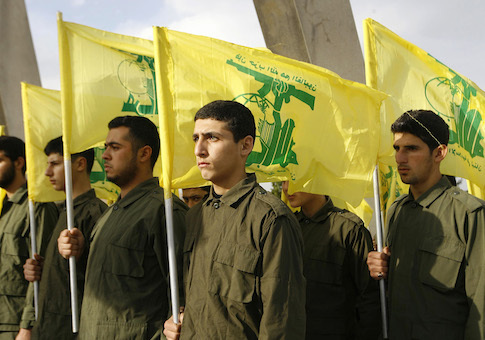 Iran views the Assad regime in Syria as a crucial ally and Syria and Iraq as crucial routes to supply weapons to Hezbollah, Iran’s primary terrorist partner. Iran has facilitated and coerced, through financial or residency enticements, primarily Shia fighters from Afghanistan and Pakistan to participate in the Assad regime’s brutal crackdown in Syria. Iranian-supported Shia militias in Iraq have committed serious human rights abuses against primarily Sunni civilians and Iranian forces have directly backed militia operations in Syria with armored vehicles, artillery, and drones,” the State Department added. The facilitation of terrorism from within its own Quds Forces and through external terror groups directly under Iran’s control such as Hezbollah, as well as others it has shielded such as Al-Qaeda and helped facilitate such as ISIS, points out the consistent lies perpetuated by the Iran lobby and regime supporters in maintaining that Iran’s government was locked in a power struggle with “moderate” elements. There are no moderate elements within the regime’s government. Supporting terror is a tool of statecraft for the Iranian regime and an important lever the mullahs in Tehran use frequently to advance their foreign policy goals. This is also the reason why the Iran nuclear deal was never going to work in the first place since it did nothing to change the behavior of the mullahs. They remain as intent as ever on spreading their extremism, known as “Shia sphere” of influence and using violence to achieve it, which is why the Trump administration has moved on imposing additional sanctions even as it certifies the regime in compliance with the nuclear agreement. The Iran lobby, especially advocates such as Trita Parsi of the National Iranian American Council, have shouted to the rooftops that Iran mullahs are acting in a moderate and open manner with respect to the nuclear agreement, but refuse to acknowledge the near-homicidal behavior of mullahs regarding terrorism and war. There can be no clear approach to Iranian regime without recognizing the linkages that exist between the regime’s behavior on terror and human rights, as well as its approach to nuclear weapons development. The great flaw in the Obama administration’s approach to Iran was to treat these issues as separate and apart. It’s a silly notion since one can no more divorce a substance abuser from one drug than he starts using another. For the Iranian regime, violence is its narcotic of choice and it is addicted to it in all facets of its society. This explains why the Iranian regime reacted so violently to the continued run of new sanctions by the Trump administration which led its leaders to make some outrageous boasts and demands this week. Iran’s president, Hassan Rouhani, said on Wednesday that Iran would stand up to the U.S. and hit back with its own sanctions. Meanwhile his foreign minister, Javad Zarif, took to CBS News to warn that the sanctions could jeopardize the nuclear deal; a curious position to take since President Trump seems intent on scrapping it in the first place. Also on Wednesday, Gen. Mohammad Ali Jafari, head of Iranian regime’s Revolutionary Guard, warned the U.S. against imposing sanctions on the paramilitary group. He said the Guard’s missile program is not negotiable and hinted that new sanctions could put U.S. military bases in the region in danger. “If the U.S. intends to pursue sanctions on the Guard, it should first disassemble its military bases within 1,000 kilometers, or 620 miles,” Jafari was quoted as saying by state TV, apparently referring to the range of Iranian missiles. It was a not-too subtle threat against U.S. bases in Qatar, Kuwait and Bahrain all of which ties back to the original point made in the State Department’s annual report: the Iranian regime can never be trusted. Two years have passed since the Iran nuclear deal was agreed to by the U.S. and other nations and during that time virtually every promise made by the Iran lobby and the Obama administration about moderating the Iranian regime and improving the stability of the Middle East have fallen faster than Twitter’s stock price lately. The practice of trying to appease the Iranian regime by conceding just about anything the mullahs wanted bought neither stability nor moderation. In fact, the opposite has occurred and places the Joint Comprehensive Plan of Action (JCPOA), as it is more formally known, on par with the Munich Agreement with Adolf Hitler or the Treaty of Versailles in terms of effectiveness. History has demonstrated over again that rewarding tyranny only invites more tyranny and in the case of the Iranian regime, it has been a textbook case of that lesson. Thankfully that period of appeasement is finally at an end with passage of a sanctions bill approved by a 97-2 margin targeting Iran, North Korea and Russia and headed to President Donald Trump’s desk for signature. The U.S. House passed the sanctions package Tuesday in a 419-3 vote, sending the legislation to the Senate. The White House has not definitively said that President Trump will sign the bill, but the measure won a veto-proof majority in both the House and Senate, which makes his approval moot. At its core is the imposition of economic sanctions on Iran for its ballistic missile program which violates a United Nations Security Council resolution, as well as the JCPOA which prohibited Iran’s development of a ballistic launch system with intercontinental range. That fact was put on display with the announcement by the Iranian regime of its launching of a satellite into orbit on a ballistic missile. Iranian state media confirmed the launch of a Simorgh rocket which the Trump administration considers a violation of the JCPOA. State Department spokeswoman Heather Nauert said the launch appeared to be related to Iran’s attempts to develop ballistic missiles, which is not covered under the nuclear deal but is a subject of protest and sanctioning by the U.S. The Simorgh is a two-stage rocket first revealed in 2010. It is larger than an earlier model known as the Safir that Iran has used to launch satellites on previous occasions. The U.S. National Air and Space Intelligence Center said in a report released last month that the Simorgh could act as a test bed for developing the technologies needed to produce an intercontinental ballistic missile, or ICBM. “Tehran’s desire to have a strategic counter to the United States could drive it to field an ICBM. 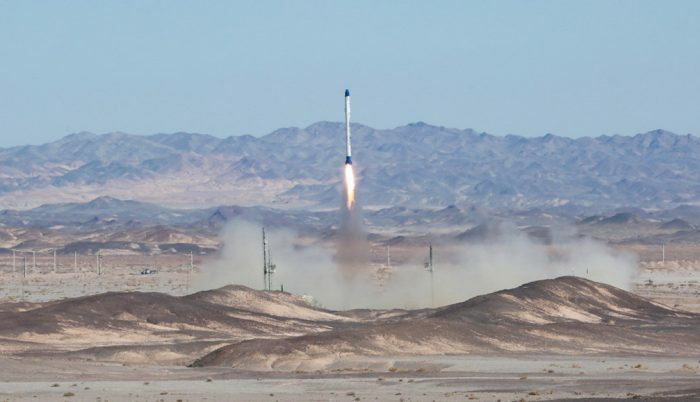 Progress in Iran’s space program could shorten a pathway to an ICBM because space launch vehicles (SLV) use inherently similar technologies,” the report said. Iran’s satellite-launch program falls under the responsibility of the defense ministry, which has denied that the space program is a cover for weapons development, but such denials are silly on its surface since Iran has no civilian space agency. Clearly the regime is using the guise of “scientific development” to advance its ballistic missile capability, especially now that the mullahs see their advantages disappear under an energized Congress and president intent on rolling back gains made by Iran. For the mullahs, it is clearly a race now for the regime to develop additional technologies necessary to complete a nuclear delivery system such as heat shields and targeting systems designed to allow a payload to re-enter the Earth’s atmosphere to strike at targets thousands of miles away. The table is now set for President Trump to walk away from the nuclear deal and news media have reported that he has instructed aides to closely re-examine the deal and evaluate against the regime’s actions over the past two years. While the Iran lobby was nearly apoplectic over the news, it could not ignore the real possibility that all its hard work in securing the deal is about to be erased like tracks across sand dunes swept away by wind. 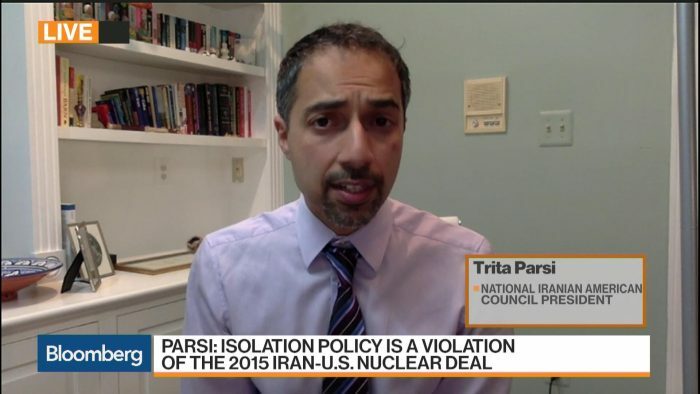 Trita Parsi of the National Iranian American Council issued a typically hysterical statement claiming that the president’s call for expanded inspections of Iran’s military installations for nuclear violations was a pretext to war. “Clearly, facts don’t matter to the Trump administration – their desire to start a war trumps everything. Now, his team appears to be putting his desires into action,” Parsi said. We advise Parsi to take a Xanax and calm down since his protestations have always been proven false in the past and this latest one is no different. The fact that the JCPOA excluded large segments of Iran’s military-industrial complex allowed the regime ample room to hide its nuclear activities and the fact that international inspectors are restricted from accessing sites and many sites they were allowed to visit were scrubbed clean of any evidence months in advance shows how wrong Parsi is and how correct the president is in seeking additional inspections. The Iranian regime predictably reacted with false anger and vitriol at the developments, but could not ignore the fact that the JCPOA is not a treaty and President Trump has wide latitude to simply walk away from the agreement. It’s all but a done deal. 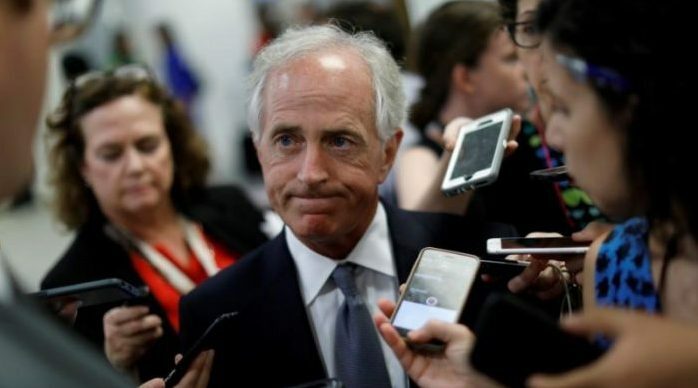 House and Senate negotiators reached agreement according to news reports on Wednesday to get sanctions legislation against Iran, Russia and North Korea through the Senate without further amendments; avoiding needing another House vote. Votes in both houses of Congress up to this point have been lopsided, bipartisan affairs as Democrats joined with Republicans in a rare show of unity on confronting the three nations in question. Both sides agreed on the need to take further action against North Korea even as the rogue nation has ramped up launches of ballistic missiles with ranges reaching the continental U.S. The speed with which the sanctions legislation is moving through Congress demonstrates sharply how the landscape has changed over the last two years since the Iran nuclear deal went into effect. The Iranian regime’s provocative actions in Iraq, Syria, Yemen, Pakistan, Bahrain and Kuwait have aptly shown the world how an unrestrained regime will act. It has also proven false the narrative used by the Iran lobby that by approving the nuclear deal, moderate elements in Iran would be empowered to take a leading role there. Clearly, the truth has been shown that there are no moderate elements in Iran’s government. But that hasn’t stopped the Iran lobby from trying to stop this speeding train from running over the mullahs in Tehran as evidenced by the latest editorial by Jamal Abdi of NIAC Action in The Hill. Abdi tries to make the argument that in their rush to punish Russia, Democrats are allowing President Trump to dismantle the Iran nuclear deal. “While Democrats may score a victory on Russia, they may be setting the stage for turning Trump into a wartime president. And if that happens, few will remember the Democrats as the party that sanctioned Russia. Instead they will remember when Democrats acquiesced to, and even encouraged, Trump’s push towards war with Iran,” Abdi said. There is little doubt that Abdi’s words are not only ineffectual, but largely being ignored on Capitol Hill; demonstrating how far the Iran lobby has fallen in its effectiveness and ability to set the national debate. Long gone are the days of the vaunted “echo chamber” banging the PR drum loudly in support of the mullahs; only replaced by vivid images of multiple missile launches, Iranian navy ships speeding at American warships, and wide swathes of destruction in Syria and Yemen at the hands of Iranian troops. The inability of the Iran lobby to offer any policy whatsoever calling for any reform or restrictions to the Iranian regime’s behavior is fueling the belief that the Iran lobby can offer no more solutions. The most recent hostage-taking by Iran of a Chinese-American researcher from Princeton University and the 10-year anniversary of the arrest of former FBI agent Robert Levinson who is still being held in Iran only reinforced the perception that the regime was lawless and recalcitrant. The recent death of North Korean-hostage Otto Warmbier only reinforced the urgent necessity of getting American captives out of Iran and has become a focal point for President Trump as he demanded the release of several other Americans being held in Iran. Typically, Reza Marashi of the National Iranian American Council, proposed another hostage swap, taking a page from the Obama administrations appeasement policies, and echoing demands from Iran’s leadership for the U.S. to release Iranians convicted of smuggling nuclear technology to Iran. Without it, the regime would have no political cover and would become a pariah nation again so the president’s warnings in a recent interview with the Wall Street Journal that he may ultimately find the Iranian regime “noncompliant” with the deal could prove a key turning point for his administration. The regime’s leadership responded with characteristic bravado as Hassan Rouhani vowed a “reciprocal” response should U.S. sanctions pass. Rouhani said his country would “take any action that is necessary for the country’s expedience and interests” should the sanctions go into effect, according to The Associated Press. The threats seem pointless at this time since whatever restrictive effects the deal purportedly had have been largely bypassed with Iran’s ability to keep its entire nuclear refining capacity and aggressive expansion of its ballistic missile program. For the mullahs, they have already milked that deal dry and walking away from it would probably cause them little to no discomfort. 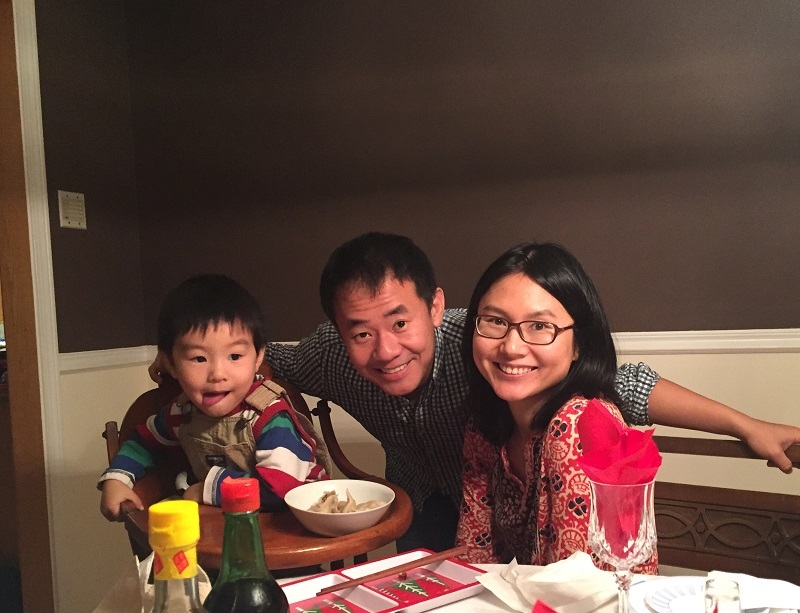 Xiyue Wang, a naturalized American citizen from China, arrested in Iran last August while researching Persian history for his doctoral thesis at Princeton University, is shown with his wife and son in this family photo released in Princeton, New Jersey, U.S. on July 18, 2017. Courtesy Wang Family photo via Princeton University/Handout via REUTERS ATTENTION EDITORS – THIS IMAGE WAS PROVIDED BY A THIRD PARTY. Ever since Otto Warmbier was brought back from his imprisonment and torture in North Korea only to suffer from severe brain damage and eventually succumbing to his injuries, President Donald Trump has become more personally involved in the plight of Americans being held hostage in Iranian prisons. Though there is a large partisan divide that separates the president from Democrats and Republicans, on the issue of American prisoners he has become quietly, but forcefully involved in sending unmistakable messages to the mullahs in Tehran that he wants them freed. While there is plenty of speculation as to why the president takes a personal interest in this issue, there is none regarding the correctness of his position. Even the Iran lobby’s most ardent supporters, the National Iranian American Council, could not hide from the cruelty in the regime’s latest hostage taking, Xiyue Wang, a Chinese-American graduate student from Princeton University, who was sentenced to 10 years in prison. His statement underscores the ever-shrinking island for the Iran lobby when it comes to supporting the Iranian regime. The past two years since the nuclear deal was agreed to have fully demonstrated how incapable Iran has become to living up to the false promises of moderation made by people such as Parsi. The Iranian regime has never made it a secret that it views hostage-taking as an essential tool of statecraft and not just American citizens either. It has detained and imprisoned Canadians and European citizens and used them as pawns in negotiations with their nations in trying to wring out concessions. The fact that the Obama administration essentially rewarded the regime by paying pallets stacked with cash for the return of Americans including Washington Post reporter Jason Rezaian, only incentivized the mullahs to take more hostages. But for now, the Trump administration has openly called for the release of three Americans currently still in Iran, including former FBI agent Robert Levinson and Siamak and Baquer Namazi, son and father who are Iranian-American businessmen. In Levinson’s case, he has been held in Iran for over 10 years and Iranian officials refused to make him part of the deal that released Rezaian and other hostages. “The United States condemns hostage takers and nations that continue to take hostages and detain our citizens without just cause or due process. For nearly forty years, Iran has used detentions and hostage taking as a tool of state policy, a practice that continues to this day with the recent sentencing of Xiyue Wang to ten years in prison,” the White House statement read. The statement urged that Iran is responsible for the care and well being of all US citizens it has in its custody. It added that Trump is willing to impose new consequence unless all “unjustly imprisoned’ American citizens are released by Iran. The White House announcement comes at the heels of a new administration policy — banning Americans from visiting another country known for imprisoning Americans — North Korea. In addition, Congress has moved forward with legislation imposing new sanctions on Iran, North Korea and Russia, adding to the pressure now coming from a U.S. government freed from the previous policies of trying to appease Iran. “You are keeping our innocent citizens in gruesome prisons. This is against the law and international norms and regulations,” said Sadegh Larijani, head of the regime’s judiciary, quoted by Iran’s state broadcaster. Foreign Minister Mohammad Javad Zarif accused Washington of holding Iranians on “charges of sanction violations that are not applicable today… for bogus and purely political reasons”, at a meeting of the Council on Foreign Relations think-tank in New York last week. Larijani also criticized the seizure of Iranian assets in the United States, such as a recent ruling to seize a Manhattan skyscraper to compensate victims of terrorism. “They confiscate the assets of the Islamic republic. This is a blatant robbery. Americans behave as a bully and they want to oppress people of other countries,” he said. Larijani’s comments deserve a good chuckle or at least a shocked gasp considering how abysmal Iranian regime’s prisons are, including the notorious Evin prison, as well as the regime’s reliance on medieval punishments such as public hanging and amputations. Of course, given the regime’s past history of using hostages as pawns, the Larijani’s rhetoric may just be an opening prelude to another offer by the regime to swap Iranians convicted of smuggling material out of the U.S. for Wang and other Americans. Remember, Iranian regime already has a taste of a quiescent U.S. in the prisoner swap from 2016, and may be lining up to orchestrate a similar move. Even Reza Marashi of NIAC, acknowledged a similar move was afoot. “I think it’s pretty clear that the Iranians are looking for another prisoner swap,” Marashi told Newsweek Monday. The larger policy question for President Trump will be, if the regime offers a repeat of 2016, will he take the deal? We would caution that doing so only encourages the Iranian regime to take even more hostages in 2018. In a sign of not-so surprising bipartisan agreement in the highly charged partisan atmosphere of Washington, DC, Republican and Democratic lawmakers announced an agreement on legislation that will impose new sanctions on the Iranian regime, North Korea and Russia. To say that there is very little Republicans and Democrats agree on today would be a colossal understatement, but it is clear dealing with Iran and North Korea has moved to the forefront because of their respective ballistic missile programs and Russia for alleged interference in U.S. elections. The decision of how best to deal with Iran and North Korea seems to be about the only issues that draws popular and wide-ranging support from both sides of the political aisle; much to the consternation of the Iran lobby. One of the most consistent arguments made by Iran supporters such as Trita Parsi of the National Iranian American Council has been the idea that the issues such as Iran’s nuclear program should be addressed separate and apart from ballistic missiles, human rights or sponsorship of terrorism. The Obama administration followed through on that idea by not conditioning the nuclear agreement on those “side issues,” but all that did was enable the Iranian regime to act on all of those issues with impunity and a sense of invulnerability seeing how the U.S. would be unwilling to jeopardize the agreement no matter how egregious the actions by the regime. It was a similar scenario that followed North Korea and sanctions were ramped up with each North Korean aggressive action only to be traded for concessions which enabled yet another round of militancy. Not coincidentally, that separation of issues doesn’t work both ways according to the Iran lobby. If the U.S. could not criticize or act against the regime for its conduct on ballistic missiles or human rights, then the U.S. could also be criticized for acting on its own against Iran for any of those issues. Parsi and his colleagues have also chimed in that imposing sanctions on Iran for human rights violations is a separate issue and would only jeopardize the nuclear agreement. Its collapse would only force an arms race and speed up Iran’s path to the bomb. Unfortunately for them and other supporters of the Iran regime, that is exactly what the U.S. Congress has done with this bill. It has finally acted on imposing sanctions separate and apart from the conditions of the nuclear deal—just as the Iran lobby demanded before. Even the Los Angeles Times editorial board, long an advocate of the nuclear deal, agreed that issues such as ballistic missiles and support for terror groups such as Hezbollah ought to be addresses separately and so they have at last. The House is set to vote on Tuesday on a package of bills on sanctions covering Russia, Iran and North Korea, according to House Majority Leader Kevin McCarthy’s office. The measure will “hold them accountable for their [alleged] dangerous actions,” McCarthy claimed in a statement on Saturday, Reuters reported. The legislation would also impose sanctions on Iran over its ballistic missile development program and its activities in the region, especially the support provided by Iran’s Revolutionary Guard Corps for Tehran’s allies in their campaigns to fight in Syria. The bills are now shaping up as only the opening chess move between President Trump and the mullahs in Tehran as he has demanded the release of imprisoned Americans in Iranian jails, which received a similar demand from Tehran for the release of Iranians convicted on charges related to the attempted export of nuclear materials. In the arena of prisoners and hostage taking, Iran and North Korea are again joined at the hip in terms of tactics since North Korea imprisoned and then released American Otto Warmbier who was released and died as a result of severe injuries suffered in what was described by medical officials as torture or savage beatings. Iran has similarly detained Americans, Canadian and European citizens and subjected then to torture that has been widely documented and condemned by human rights and Iranian opposition groups such as Amnesty International. 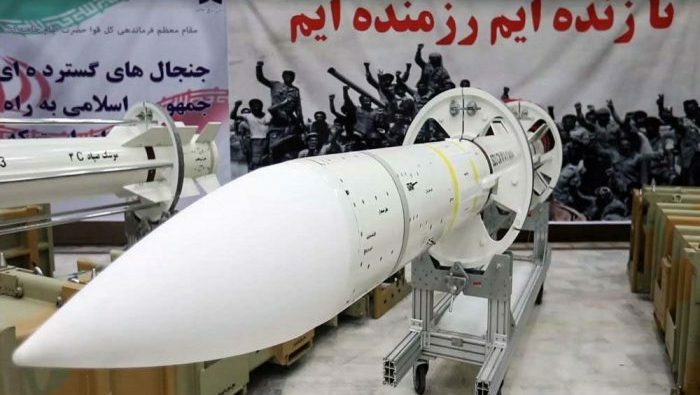 In the face of the American action, the Iranian regime predictably announced the launch of a new production line to mass manufacture a new version of its Sayyad-3 air defense missile in a photo opportunity moment to shake the spear so-to-speak and warn against any efforts to attack Iran. 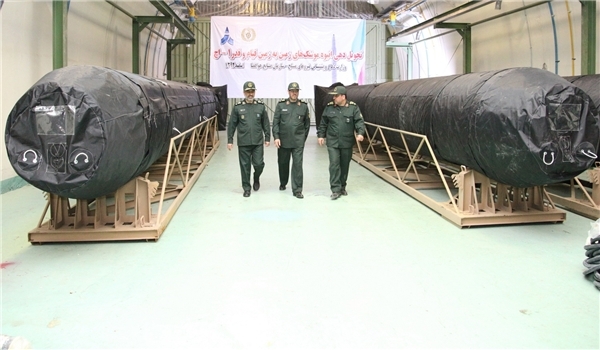 The Sayyad 3 missile can reach an altitude of 16 mile and travel up to 74 miles, Iranian defense minister Hossein Dehghan said at a ceremony, as reported by Reuters. The missile is copied after similar Russian designs. The missile can target fighter planes, unmanned aerial vehicles, cruise missiles and helicopters, Dehghan said. The implied threat by Iran was again the tired old line that the only inevitable outcome of the dispute between itself and the U.S. had to lead to war. For the Iran lobby and Iranian regime, rattling the saber and banging war drums seems to be about their only response to the issue of increasing sanctions aimed at the threat posed by Iran’s missile fleet. But as Harry J. Kazianis, director of defense studies at the Center for the National Interest, pointed out in a Fox News editorial, the close working relationship between North Korea and Iran only means Iran will be able to deploy nuclear weapons on its missiles even more quickly in spite of the nuclear deal. “Many experts have been warning for years now that Tehran and Pyongyang have been trading missile technology. If the Trump administration doesn’t act fast it won’t be just the hermit kingdom that has nukes that can strike at targets thousands of miles away” Kazianis writes. It is clear that the best possible solution is to continue moving forward with sanctions against Iran and North Korea and reverse the damage done by President Obama’s eight years of appeasing the Iranian regime.